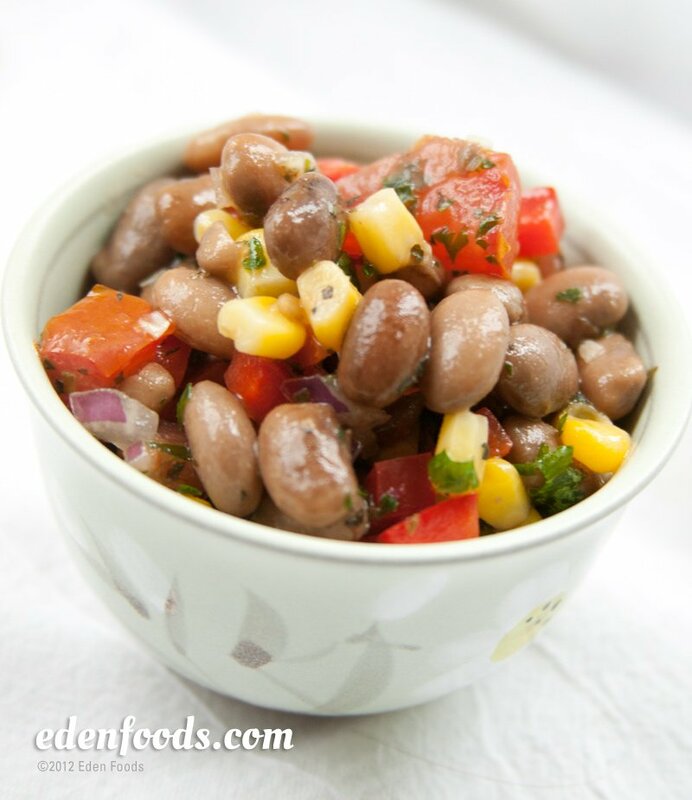 Place the pintos in a bowl and toss with the lime juice and sea salt. Set aside while you are preparing the remaining ingredients. In a large cast iron or heavy skillet, dry roast the corn over medium-high heat, stirring constantly, until lightly browned, about 8 to 10 minutes. Place in a bowl to cool. Toss the roasted corn and remaining ingredients with the pintos, using enough olive oil to balance the flavors. Add more salt, if needed. For optimum flavor, let the salad sit for at least 1/2 hour before serving.